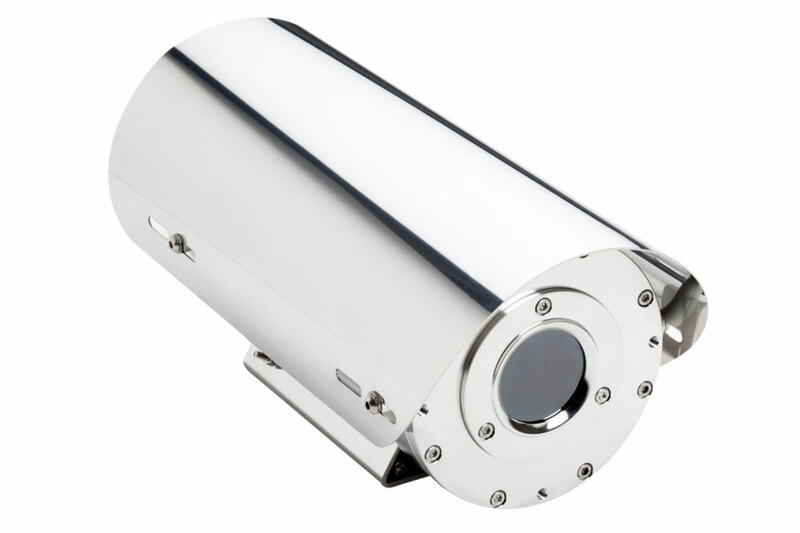 EX129IR-SW is an innovative thermal camera housing for Hazardous Areas without protective front window grid to allow an improved visibility of the camera as well as provide superior accuracy of the data collected. All ATEX camera housings with Germanium windows are equipped with a standard, non-removable front grid, while EX129IR-SW thanks to its patented gridless design is unique in the market. It is highly recommended for thermography applications, where the grid may affect the field of view or alter the data detected. It is part of the EX129 Series, which includes a full range of stainless-steel fixed camera stations specifically designed for Hazardous Area applications. Suitable for thermal imaging cameras. Gridless germanium window for a wider field of view and improved data accuracy. ATEX certification: II 2 G Ex db op pr IIC T6 Gb -40°C = Tamb = +60°C; II 2 D Ex tb IIIC T85°C Db -40°C = Tamb = +60°C IP66/IP67; II 2 G Ex db op pr IIB T5 Gb -40°C = Tamb = +75°C; II 2 D Ex tb IIIC T100°C Db -40°C = Tamb = +75°C IP66/IP67.